Mi flash tool is the official flash tool for Xiaomi mobiles the latest version of Mi flash tool is 7.4.25 which have support of all type of windows OS (32bit,64bit).with the help of this flash tool you can flash or update your Xiami smartphones in fast boot mode and you don't need to install your Xiami smartphone or tablet USB driver all the drivers are included in software setup. That software only has the support of the official ROM or flash files of Xiaomi smartphones so if you want to use this flash tool you have to download the official firmware of your smartphone. If you have a Xiaomi smartphone and you have trouble during using the phone and you want to flash your smartphone with the official firmware then you need that flash tool for flashing or updating of your Xiaomi smartphone and with that flash tool you will find also the latest version of USB drivers for you Xiaomi smartphone. Mi flash tool for Windows only works on Windows 7 or higher and windows framework 3.5 or higher must be installed on your PC. If your firmware doesn’t require you to flash all partitions, then the latest version of the Mi Flash tool supports 3 flashing options. One, flash all, second, flash all except storage and third, flash all except data and storage. By default, many firmware requires flash all option so chose which type of flash options you want to choose if you did not want to lose your data then select the 2nd and 3rd option. Xiaomi Mi Flash tool has only Xiaomi Qualcomm based phones on fast boot model so try to flash or update only Qualcomm based Xiaomi smartphones. Xiaomi Mi Flash tool – Features! Having the full support of old and latest models of Xiaomi. Support of all type of Windows OS 32 bit and 64 bit. 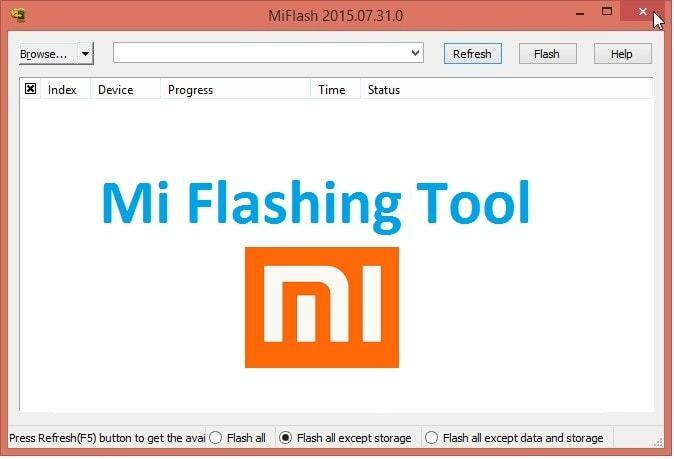 The latest version of Mi flash tool gives you multiple flashing options. 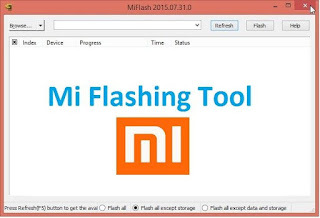 The latest version of Mi Flash tool comes with the latest version of USB drivers your Xiaomi smart devices. Having full support of Xiaomi Qualcomm based smartphones. Having full support of Xiaomi MTK based smartphones. The Xiaomi Mi Flash Tool is an amazing and useful software provided and developed by Xiaomi mobiles. That software has the support of latesr models of Xiaomi and you can flash or update your Xiaomi with the help Computer at home Window operating system. If you want to download the latest version (7.4.25) of Xiaomi Mi Tool for Windows OS then click Here.